This blog has seen a lot of Stitches Midwest action over the years. Last year, with the help of my friend, Sandy, I was able to collect a whole lot of hats at Stitches Midwest. In the end, with everyone dropping them off at Stitches and mailing them to me, I ended up with over 700 hats to donate! Stitches Midwest 2014 had a pretty good yarn haul. At Stitches Midwest in 2013 I took some great classes. I've used both the knit and crochet techniques learned in those classes in my designs! 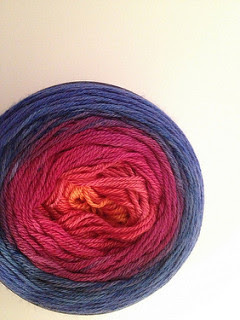 My 2013 haul added my first gradient yarns to my stash. It obviously started an obsession. And then there is the haul from 2008. It was a pretty serious shopping trip. 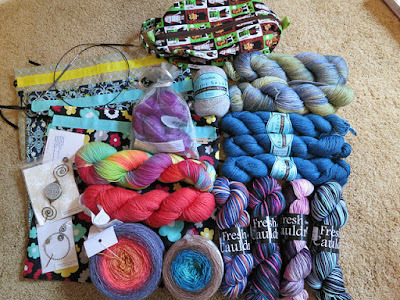 This was back in the day when I was learning that you didn't have to buy all your yarn at a big box chain store. I went a little crazy that time. I hope you've enjoyed this look back at my Stitches Midwest adventures as much as I have!